If you are one of the many million women suffering from PMS each month, this book is for you. Did you know that your cramps, moodiness, bloating, and other annoying symptoms could be alleviated with the proper diet? That this diet could be more delicious than the foods you are eating now? Both true! A complete list of foods to eat and avoid if you suffer from PMS. 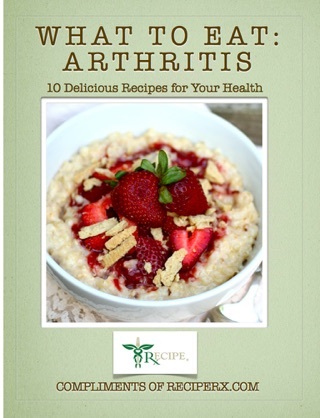 A selection of recipes for each meal of the day loaded with foods that support your body if you suffer from PMS without the foods that can exacerbate your condition. 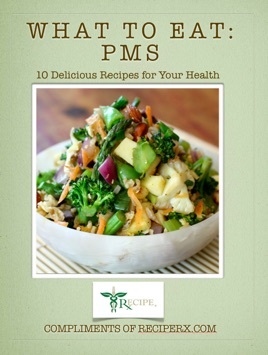 This eBook has a selection of 10 recipes for PMS. On the website, you can select multiple conditions, a diet (vegan, vegetarian, etc), and all of the foods you like or want to avoid. From there, our system will generate a customized food set (eat this, not that) and recipes specific to you. You can then create meal plans and shopping lists based on your recipes, and even filter the recipes based on the ingredients in your kitchen!